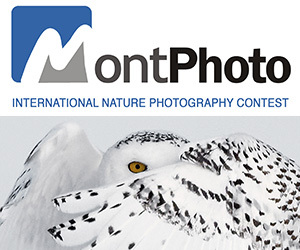 A dynamic and fun photography awards, with conservation at its heart. The Comedy Wildlife Photography Awards are looking for funny wildlife images to raise awareness of animal conservation. The competition supports the Born Free Foundation and is a free to enter competition, with fantastic prizes including a safari in Kenya for 2, Think Tank bags, Affinity software and a website by Amazing Internet. PRIZE DETAILS: First Prize: Trophy + A one week safari in Kenya for two people with Alex Walker’s Serian (the prize is to be used in one of their Masai Mara based camps in Kenya). Also, a Think Tank Airport Bag, a wonderful Portfolio Series website from Amazing Internet for one year, and finally, also part of the winning prize: An Affinity software package Not eligible to enter? - Find contest where you are. COPYRIGHT: By entering the competition, you agree that we and our sponsors and conservation partner, The Born Free Foundation may (but do not have to) reproduce and publish the image(s) for all purposes related to the promotion of the competition including, but not limited to: at the Awards event, in a book (s) and in any other media including, but not limited to websites, social media, magazine and newspaper articles, exhibitions, brochures, calendars, cards, stickers and flyers. We will not license your image(s) for merchandising or other uses not promoting the CWPA unless you have signed a separate agreement with us authorising us to license your work for such purposes subject to a percentage of the proceeds being paid to you. We will endeavour to credit you, and ask others to credit you, wherever customary and possible but we cannot be held liable if for any reason credit is not given. You retain all rights to your images. By entering the competition, you agree that any personal information provided by you with the competition entry may be held and used by us and our agents and suppliers as specified in these rules, and generally to administer the competition. We will not use it for anything else unless you have consented to our doing so by ticking the relevant box on the online entry form. 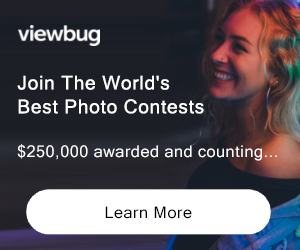 USAGE RIGHTS: The images can be used in association with the competition, promoting the competition and its fundamental aim of raising conservation awareness through a positive message. Images may be used in forms such as cards, posters, social media use and books.